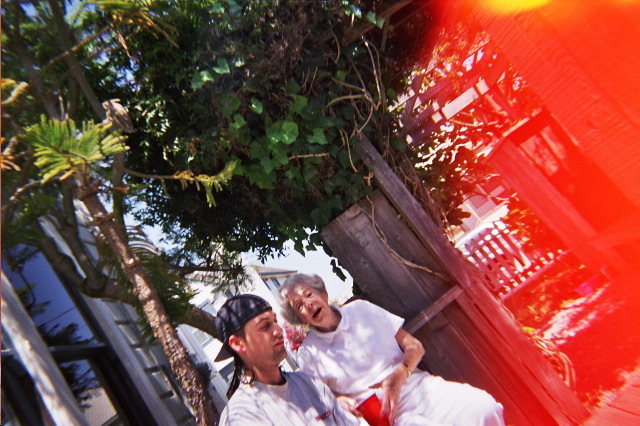 SC, CA - Me and Grandma. My grandma was having some keg beer. It was actually pretty good stuff, Red Hook ESP. She got caught talking in this pic!